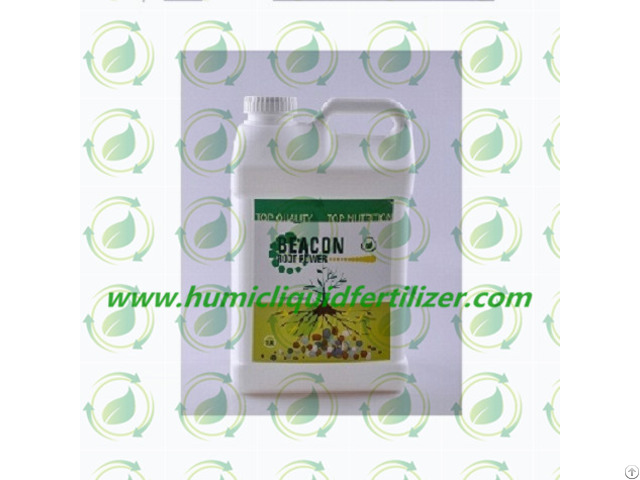 Beacon Root Power is a special liquid fertilizer for promoting root growth. It combines active humic acid with macro-elements, and microelements which are easily absorbed by plant roots, as well as high phosphorus content. It can be directly applied on root system by flushing, drip irrigation and fertigation, etc. It can also be used as a very effective "rescue remedy", during times of stress (frost, hail damage, heat, wind, transplant etc). Beacon Root Power has proven to be a valuable tool to promote vigorous root development in all crops. 1)Make roots robust & flourishing, bring more and vigorous fibrous roots. 2)Resist coldness, promote new roots, ameliorate roots dysplasia caused by low temperature. 3)Strengthen roots resilience, reduce retted roots. 4)Increase organic matters in soil, regulate soil pH balance, improve soil structure, soil permeability and capability to hold water and fertilizers. 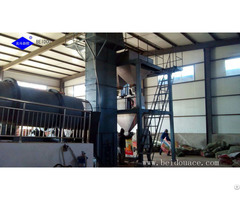 Precaution Please make small scale test when mixing with other fertilizers or pesticides before wide-spread application. Please shake before using. Packaging It is available in 500ml*20bottles/carton, 1L*12bottles /carton, 5L*4drums/carton, 10L drum, 20L drum or 200L drum. Posted By: Shanxi Beacon Tecnology Co,.Ltd. Business Description: Shanxi Beacon Technology Co., Ltd. is a leading company supplying liquid feritlizers in agriculture. Beacon has always been on the cutting edge of technology and innovation, offers the products, knowledge and customers service to help make its business partners successful at home and around the world. We offers high - quality liquid products, including organic liquid fertilizers for organic farming, specility liquid fertilizers for crops, with humic acid and fulvic acids based, amino acids based, seaweed extracts based, NPK liquid fertilizers and microelements liquid fertilizers for soil amendment, plant nutrition, crop protection. Our aim is to meet repeatedly and always the expectations of our customers with top quality, added value and speed of response complying and exceeding with their expectations.